Disclosure: We were sent these product for the purpose of this review however all opinions are my own. 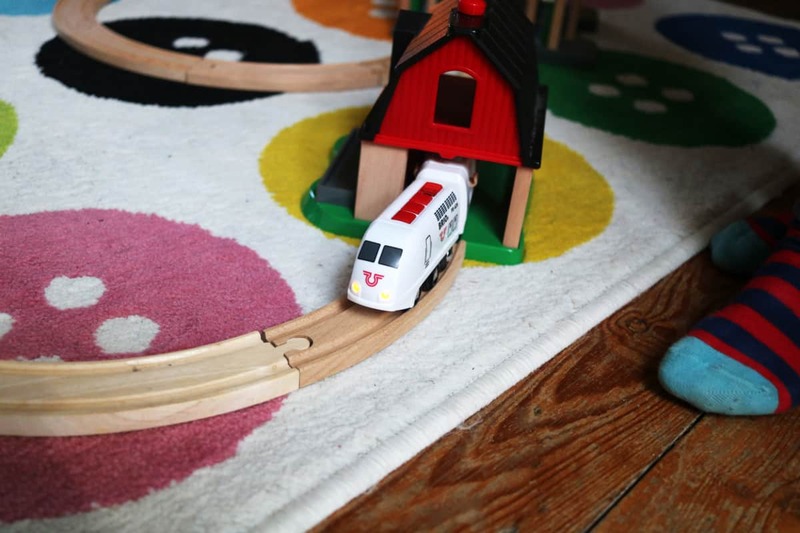 Any regular reader will know how much our family loves wooden trains and we have grown quite a substantial Brio collection since we became parents. 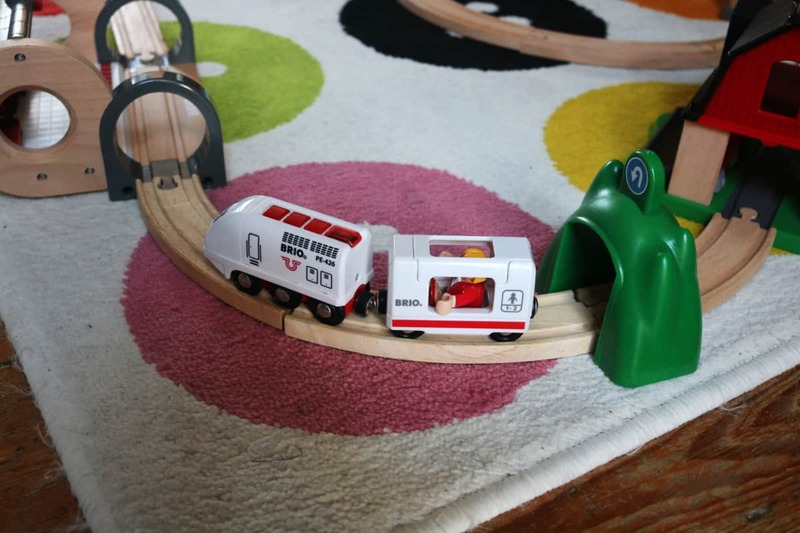 We were recently sent the Brio Remote Control Travel Train to review which I knew would go well with our existing wooden trains and track. 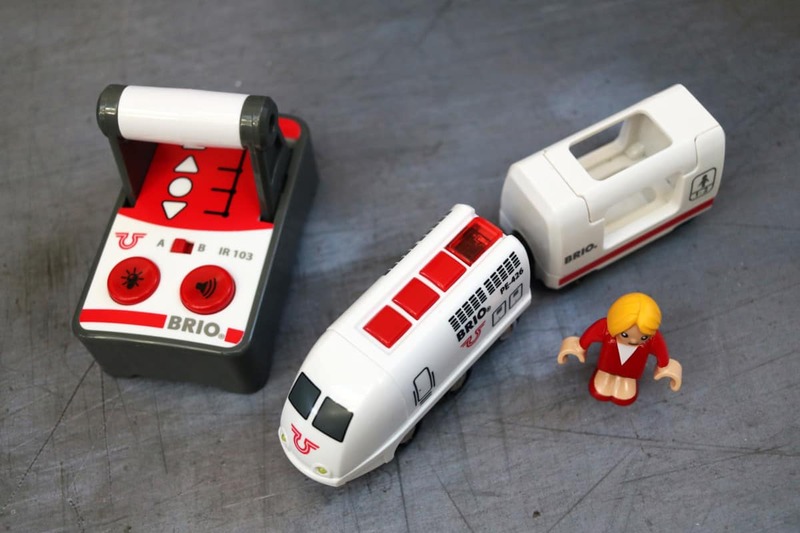 The Brio Remote Control Travel Train has four parts to it – the train engine, a passenger carriage, a passenger and the remote control unit. 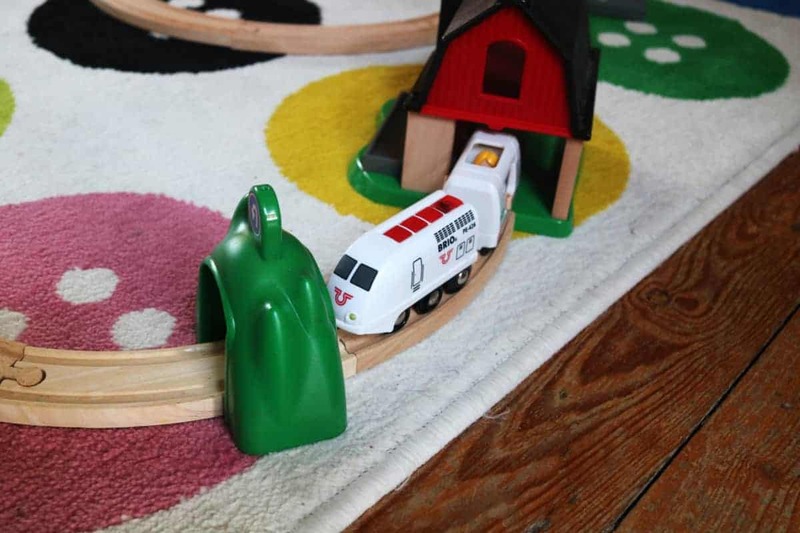 The set requires 4AA batteries – not supplied – and once fitted the train is intuitive to use and Little Man was so excited to start it racing around the tracks. The train’s remote control lets you move the train forward or in reverse and stop the train too. The design of the remote control is quite realistic – working just as real train controls would work. The same controls are available on the top of the train’s engine so you can control the train directly instead of using the remote control. This is great if there are multiple children playing at once or if you are moving the train around a really big train set where the train may go out of range of the remote control. The remote control also has buttons that make the train give out realistic train sounds and another to make the lights on the train go on and off. I was impressed with the amount of functions that the set had and Little Man was so pleased with it. 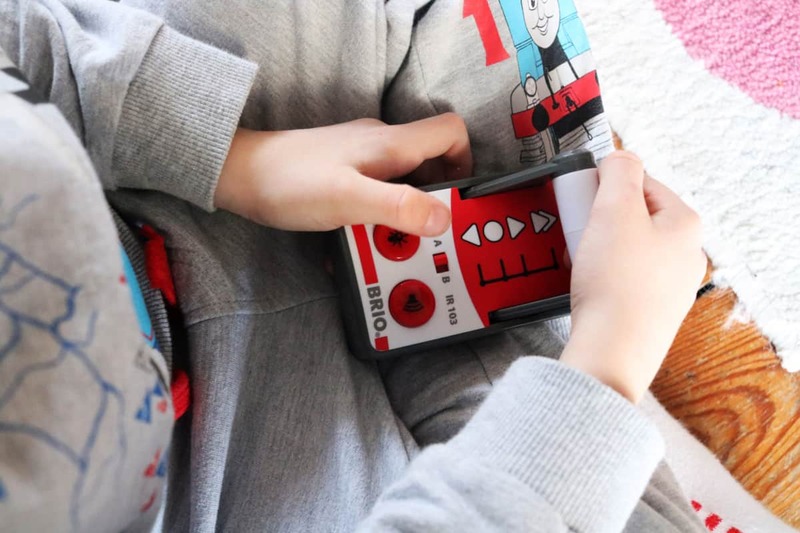 Wooden trains have come so far since the first basic wooden models and now Brio have a whole range of trains with smart functions or remote controls which really add to the play value of any wooden train set and help inspire so much imaginative play too. 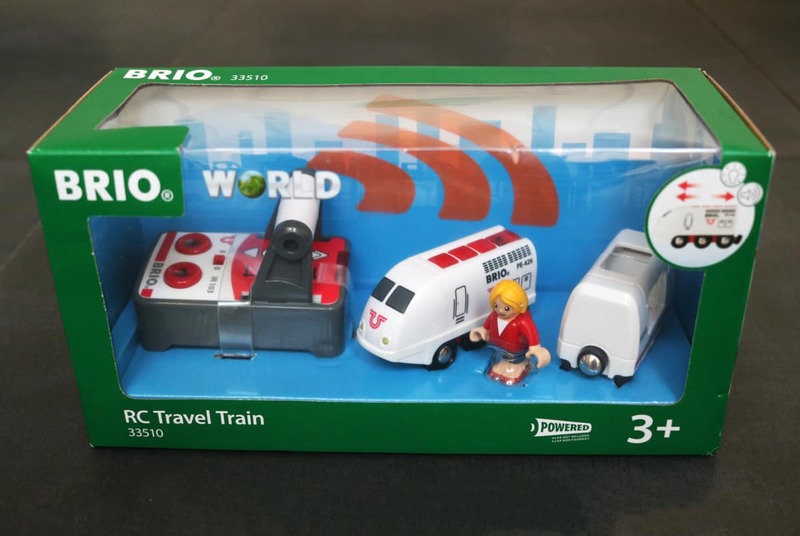 The Brio Remote Control Travel Train would make a great addition to any wooden train set but would also be fantastic as a first train too. 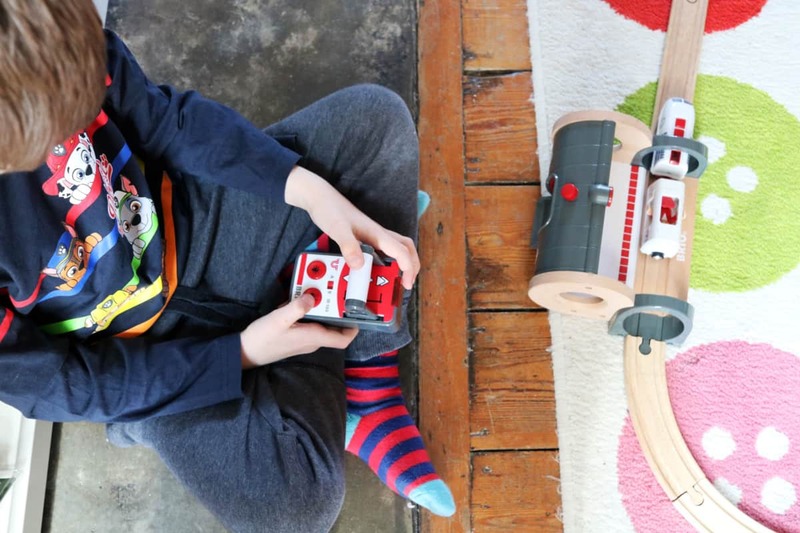 Any child would love this train – it moves easily around the tracks, looks and sounds just like a real train and has a passenger to act out so many different stories with it too. It definitely gets a thumbs up from us.